If a customer can dream it and it’s made out of aluminum or steel, Sebago Metal Fabrication can build it. Since 2001, the company has been creating aluminum docks, stairs and gangways for Sebago Docks. Now, under the direction of production manager Frank Walker, they are looking for customers to challenge their welding capabilities. “We can do most anything,” said Walker, who is the contact person for Sebago Metal Fabrication, although the company is owned by Jim Wynn. 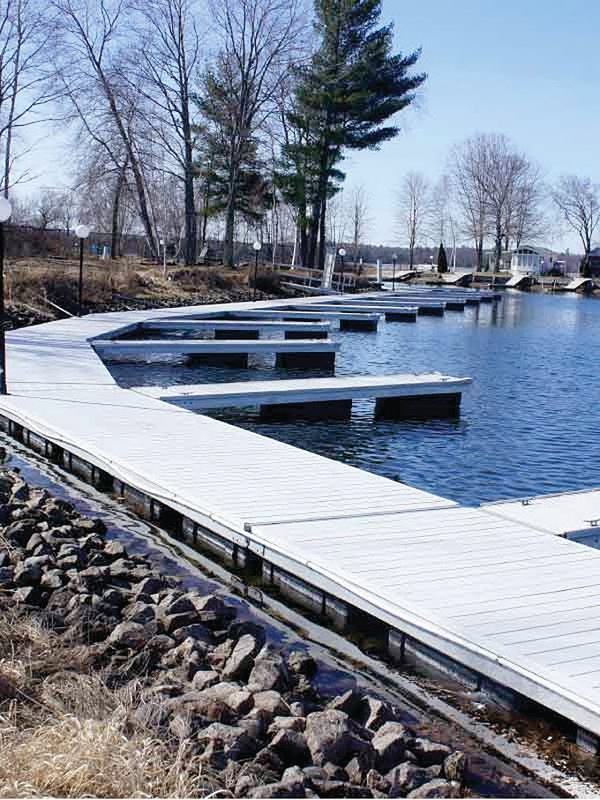 “Most of what Sebago Metal Fabrication does is custom work.” They have built a 55-foot stairway and a permanent dock on Sebago Lake. “We specialize in extruded aluminum fabrication,” said Wynn. Aluminum is lighter, more durable, doesn’t rust, lasts longer and doesn’t need to be painted, he said. Extruded fabrication means that the aluminum is like playdough and is squeezed through a mold to create a unique shape. Each shape is copywrited to the person who created it. Sebago Metal Fabrication holds many unique molds, Wynn said. “It really is green technology,” Walker said. Being light, it is used in dock frames, handicapped ramps, picnic tables and more. The aluminum is also used to create the sides for portable ice arenas like the one set up at Fenway Park each year. Walker also has created wagons and sleighs for the equine world, he said. He also creates roll around carts for companies to move product around. Welding aluminum is a specialty trade, Walker said. “It’s a whole different world and different machines,” he said. 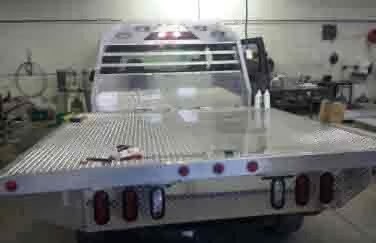 Sebago Metal Fab also works with steel to create railings, entryways, unique art pieces and welding repairs to plows, boats and trailers. The company also create fire escapes. The company is looking for jobs to complete from a $50 repair job to a $20,000 gangway project, they want to show customers what they can do. They have a CAD design machine on site to help make a vision into a model to build by. “It’s ideal to have an idea and then get a plan drawn up,” said Walker. In the winter there are about five employees, but during dock season the number rises to 15 or so. When asked about the difference in price between aluminum and steel, the answer was that in the end aluminum costs less after cleaning, priming, painting and treating the steel. “Nothing too big, nothing too small, we’ll do it all,” said Wynn. “We’re the best kept secret in Naples, Maine.” Walker will travel between Acton and Augusta to finish work, although he prefers to do most of the work in the Naples shop. 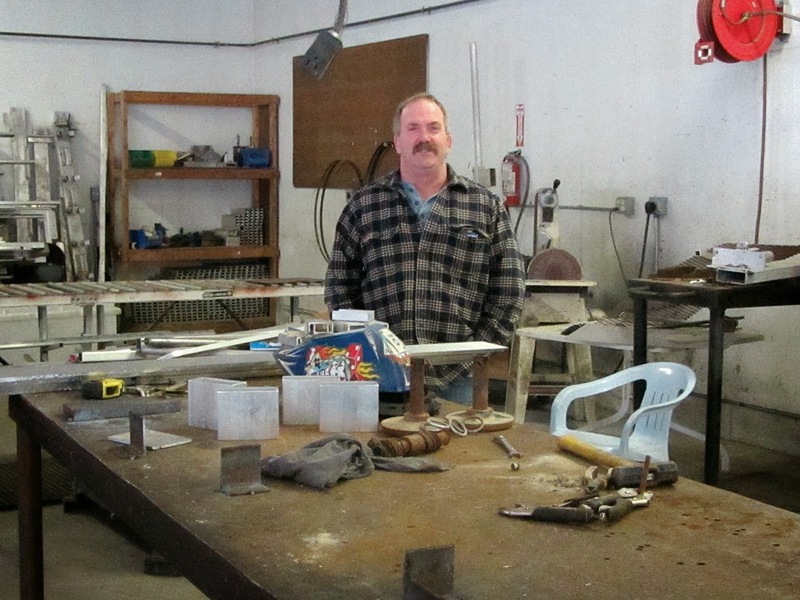 Some of the products Sebago Metal Fab makes it sells through Craigslist ads. 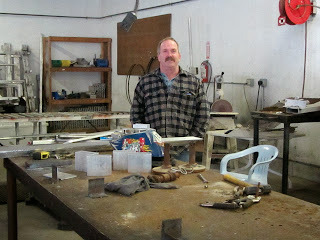 For quotes, estimates and information, visit www.sebagometalfab.com, call 653-3766 or email frank@sebagometalfab.com.